I bought this model at a Breyer Special Event party and comes with a Cerificate of Authenticity, dated 9/18/92. 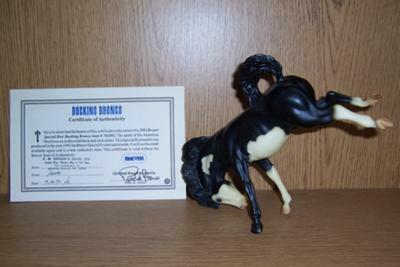 It is signed by Peter Stone on its back hoof. It is in very nice condition. It is noted in the book as a show special, but no mention of the COA.